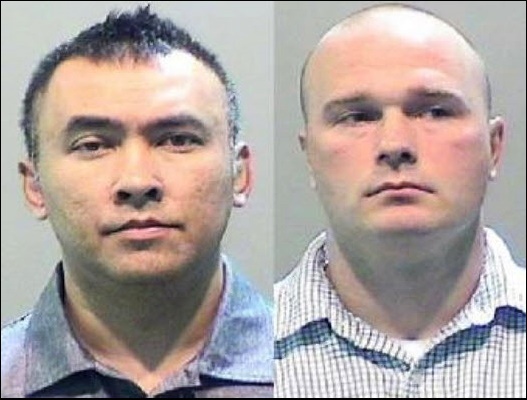 Two former Detroit police officers were charged last week with misconduct in office and falsifying police reports in a case where the evidence showed they planted a bag of heroin in a man’s car in order to arrest him on drug possession charges. The last four Informant America blog posts have described, in detail, the unanswered questions, considerable holes—and police perjury—in the prosecution’s drug case against Richard Wershe, Jr. Which leaves a question: Why is Wayne County Prosecutor Kym Worthy afraid of a public review of whether Rick Wershe was/is a menace to society? Former Detroit police officers Steven Fultz, 34, and John McKee, 43, claimed they watched a 27-year old Detroit man toss a bag of suspected heroin from his car in a Detroit neighborhood in January, 2015. They arrested the man and charged him with possession of heroin. Their story fell apart when the case was going to trial. Audio tapes from their police car revealed the officers planned to file a false report about the incident to justify the man’s arrest. Now they are the ones who are facing prison time. 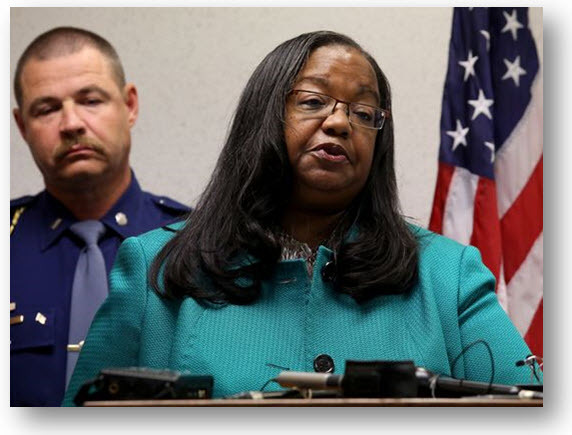 It appears Wayne County Prosecutor Kym Worthy did the right thing in this case. So why won’t she do the right thing in the Rick Wershe case? The one that sent him to prison for life? If Kym Worthy cares to look she will find that the arresting officer in Wershe’s case, Rodney Grandison committed perjury—lied—under oath at the trial when he said he didn’t know Rick Wershe and had never met him before arresting him. Wershe says he knew Officer Grandison well enough to smoke pot with him from time to time before the big bust. Now it might be Wershe’s word against one of Detroit’s, uh, finest, a police officer sworn to uphold the law. Except for one thing. Former Detroit FBI agent Herman Groman, Wershe’s “handler” when he was working as a confidential informant for a federal drug task force, paid a visit to Wershe when he was in Marquette State Prison. Groman arranged with prison officials to have Wershe call Grandison at home from a prison phone, which Groman wired up to record the conversation. Wershe called Grandison and they chit-chatted about a minor matter for maybe ten minutes or so, long enough to clearly establish that Grandison knew Wershe. Grandison didn’t acted surprised or shocked that Wershe was on the other end of the line. There was no indication he didn’t know Wershe. On the contrary. He jumped right in to the conversation. What they talked about isn’t important. The key to it is the tape recorded phone call establishes clearly and beyond doubt that Grandison committed a felony—perjury—when he told the Wershe jury that he did not know the defendant. Recent Informant America blog posts have noted the civilian witnesses in Wershe’s trial contradicted one another in their testimony. One said she was Wershe walking between some houses toward her with a box in his arms. Another, who was sitting on his front porch next door to the female witness said Wershe did NOT have a box in his arms. This testimony was supposed to tie Wershe to a box of cocaine retrieved about two hours after his arrest. And there’s the strange unexplained story of the box itself. It was found under a porch by neighbors who swore it was taped shut when they found it. Officer Greg Woods, a Detroit narc on the self-styled No Crack Crew, showed up about two hours after Wershe’s arrest to take custody of the box. Woods testified when he received it, it the box was open and there were eight kilos of cocaine inside. Rick Wershe says today he never saw or touched the box but that he was supposed to receive a ten-kilo shipment of cocaine that day from Miami. Wershe’s fingerprints and palm prints were not found on the box. Let’s review: We have tape-recorded evidence one of the prosecution’s police witnesses in Wershe’s drug trial perjured himself on the witness stand. We have conflicting eyewitness testimony. We have what appears to be tainted drug evidence with no physical evidence tying it to Wershe. A man is serving a life prison sentence on a case at least as flimsy as the one Kym Worthy tossed and saw fit to file charges against the police officers who fabricated the case. The statute of limitations is long past on charging Grandison for perjury in the Wershe case. But if, IF, Kym Worthy were truly interested in justice in all cases and not just some cases, she would order a thorough review of Wershe’s case and all the wild accusations that he was a white teen drug lord and drug kingpin who ruled the roost over street-hardened adult black men in Detroit. That’s if she were interested in justice for all. Don’t hold your breath.